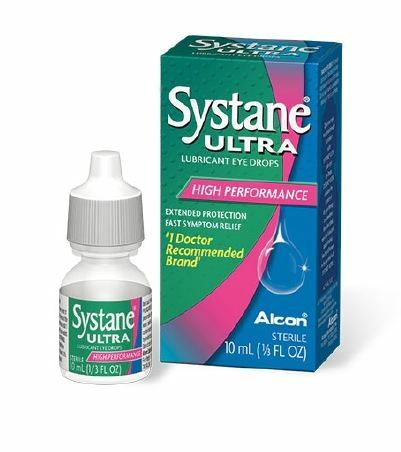 Systane Ultra is sterile lubricating Polyethylene Glycol 400/Propylene Glycol eye drops 0.4%/0.3%, in a 10 mL dropper bottle. 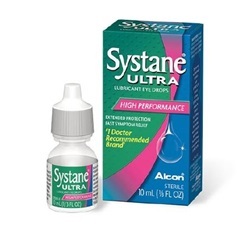 Manufacturer: Alcon. NDC: 00065-1431-05. Comes as singles.